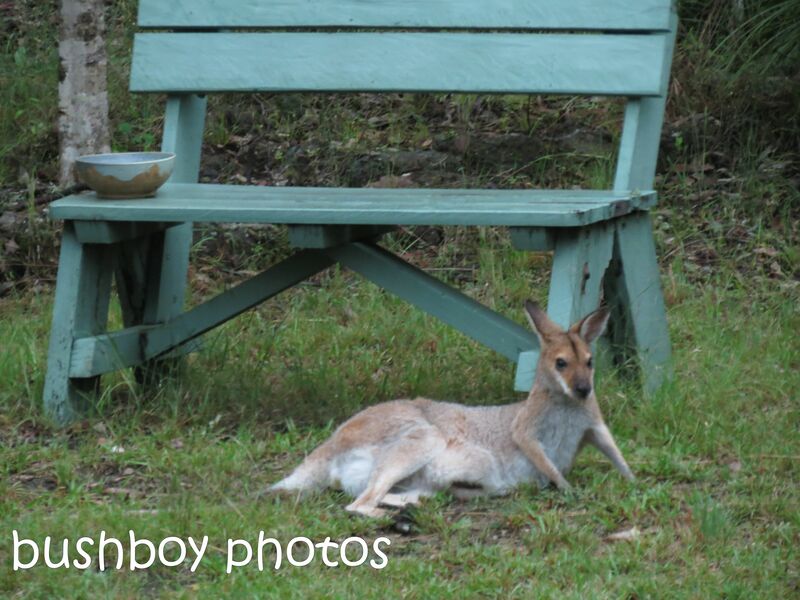 It seems like ages since I had time to sit down and look through the photos I have taken over the past few weeks. Some of these are from the end of February as I decided to just do the butterflies. I took a lot of butterfly photos in February and since then, have even taken more. I was asked about taking butterfly photos and had to say that out of twenty or so photos, there is usually only a couple that are ok. 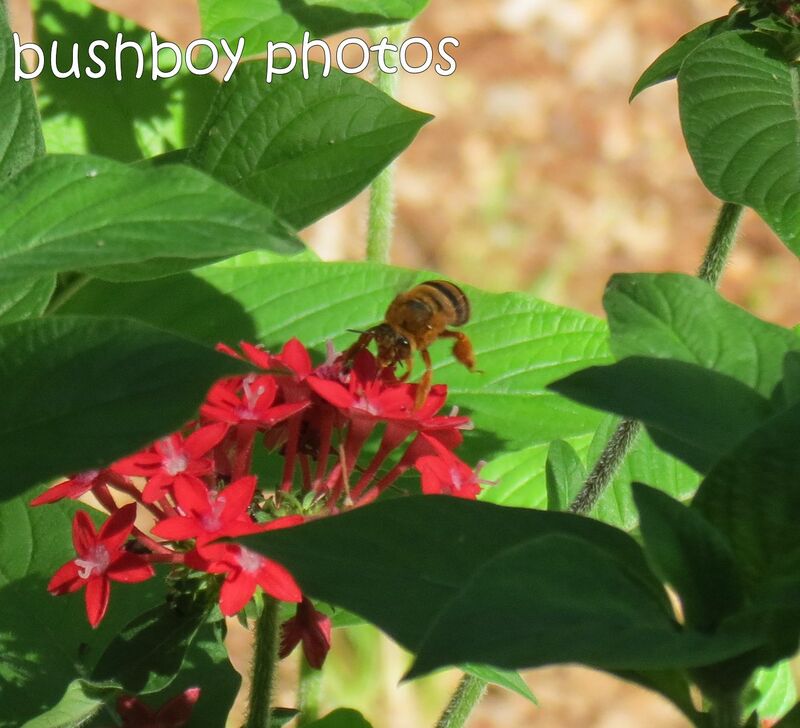 This blog hasn’t any butterflies but has some other insects that I came across when walking around the garden or other people’s gardens. 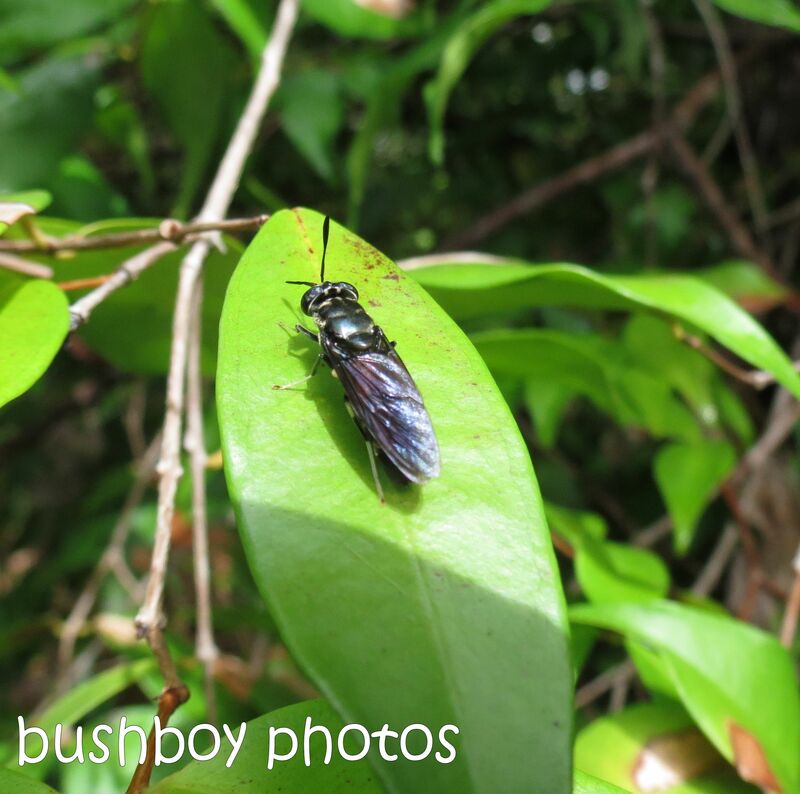 I was getting buzzed by this black insect. It wouldn’t go away but finally tuckered itself out and sat on a leaf. I also spend a bit of time chasing bees around gardens. Coming in for a landing with rear legs full of pollen. 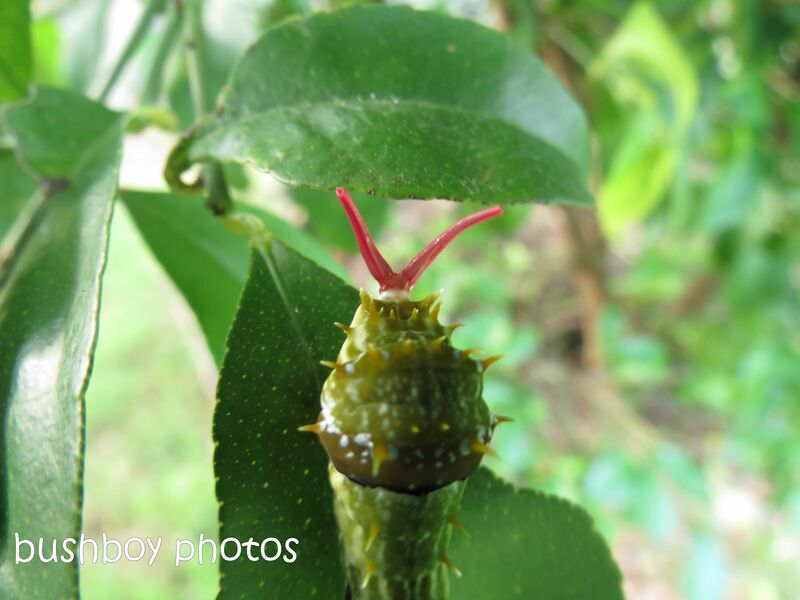 It took a bit of wrangling to get the caterpillar a bit angry to expose his red antennae while holding the camera in one hand and keeping the spikes on the bush lemon at bay as well. 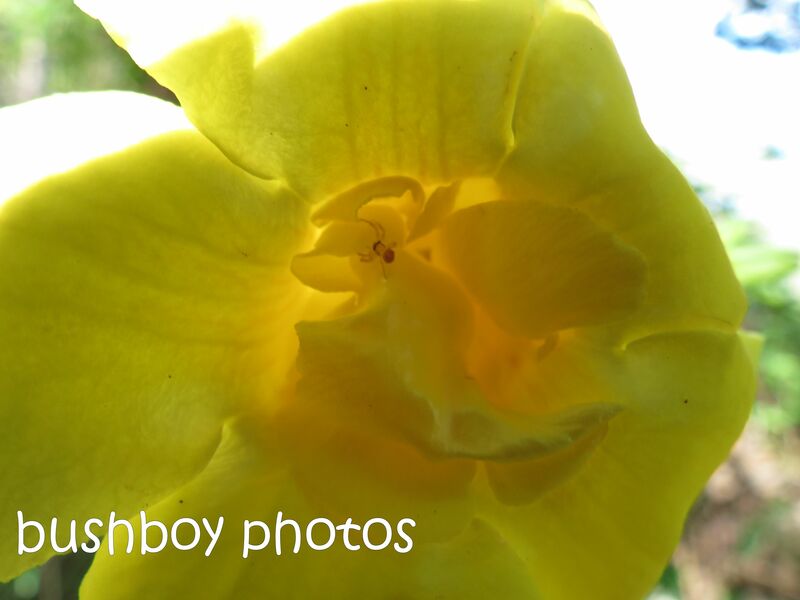 Always have a close look inside of flowers. You never know who you may find! 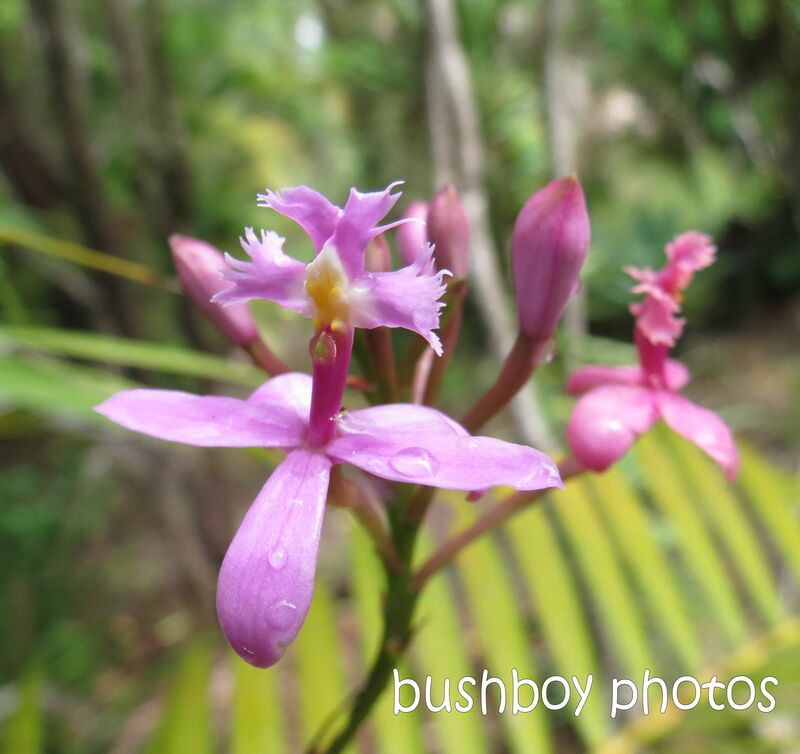 I love these little orchid flowers. 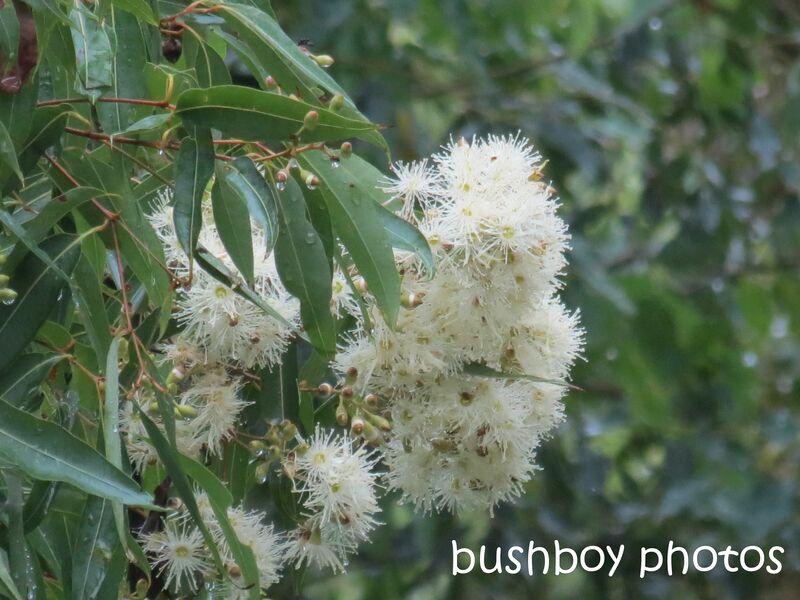 They grow on long stalks and this year have been flowering all the time. The tiny Native Wisteria flowers are so perfect as they gradually open along the stem giving a blush of colour throughout the garden. 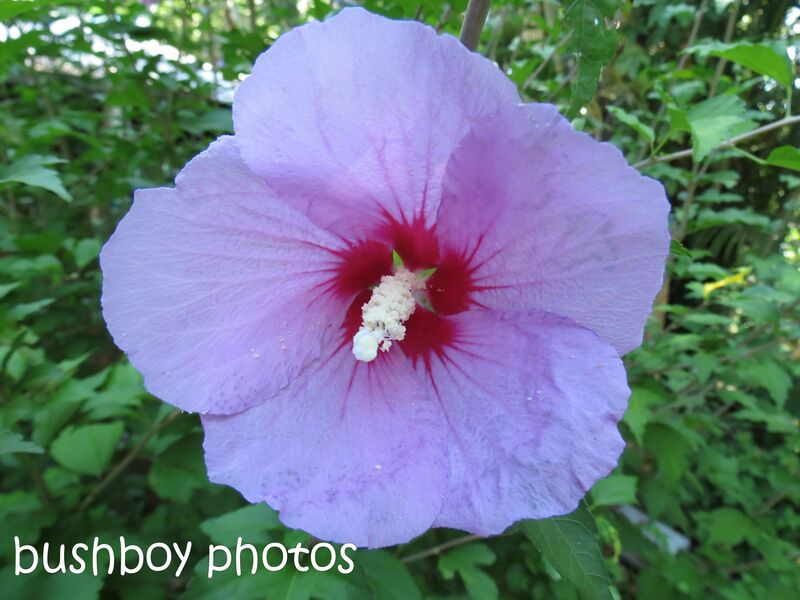 One of the old cottage style Hibiscus flowers. 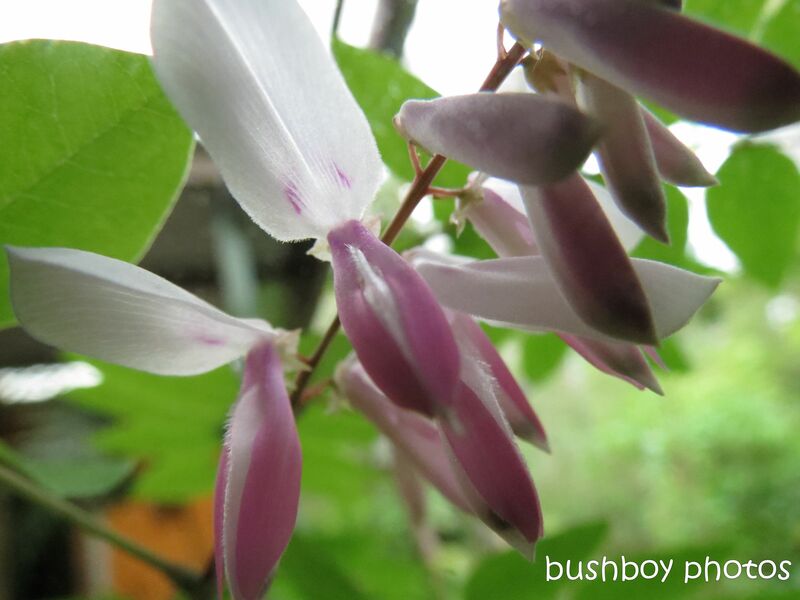 One of the original plants over thirty years old in my besties garden. 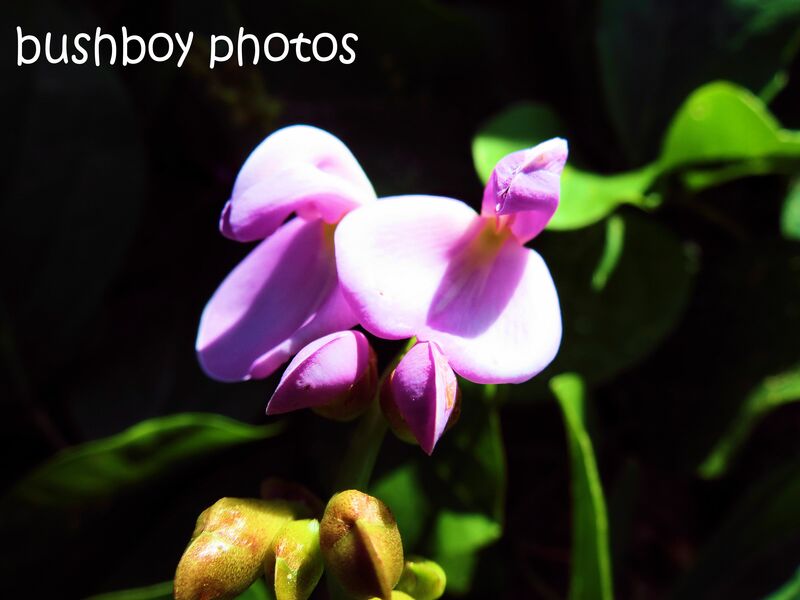 I found hundreds of small flowers growing on the breakwall at Ballina. The Pink Bloodwoods were covered in blossoms, with bees buzzing about making a bit of a racket. 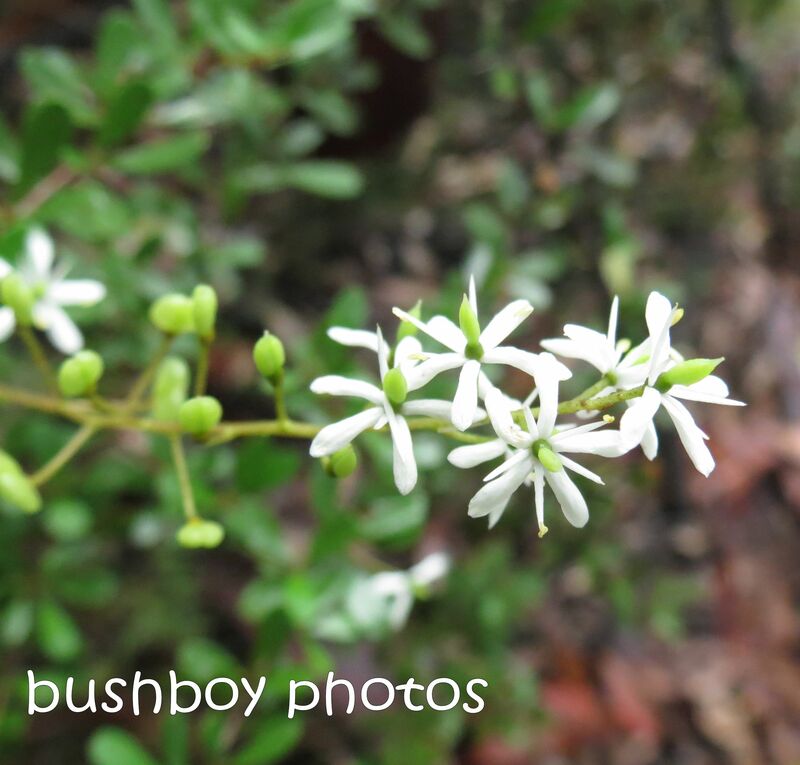 I was walking through the bush at my place when I came across a small shrub covered in white flowers. I haven’t seen this plant in flower before. It is quite pretty isn’t it? Here are the flowers up close. 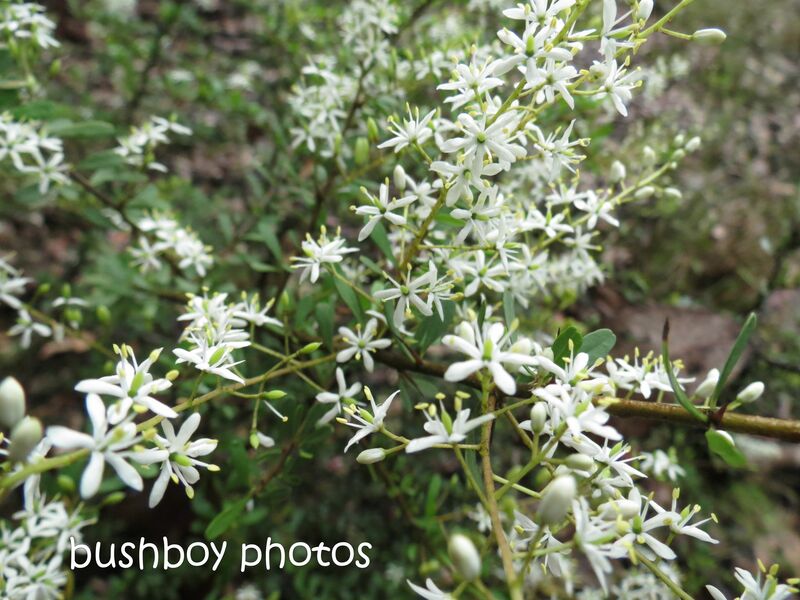 Can anyone tell me the name of the shrub please? 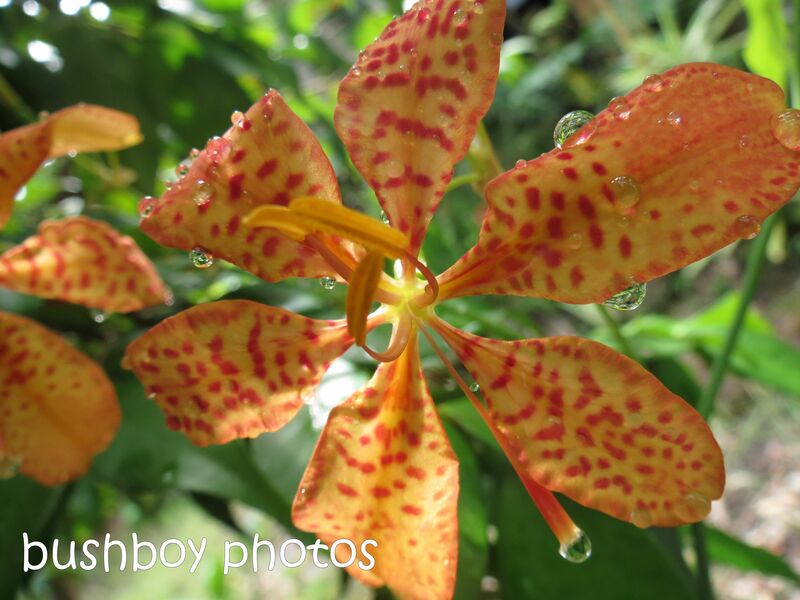 I love the Tiger Lillies when they bloom, adding a splash of colour through the garden. While we endured six months of no rain towards the end of last year, my favourite Honey Gem Grevillea suffered with the lack of water and still hasn’t flowered as strongly as it has in the past. 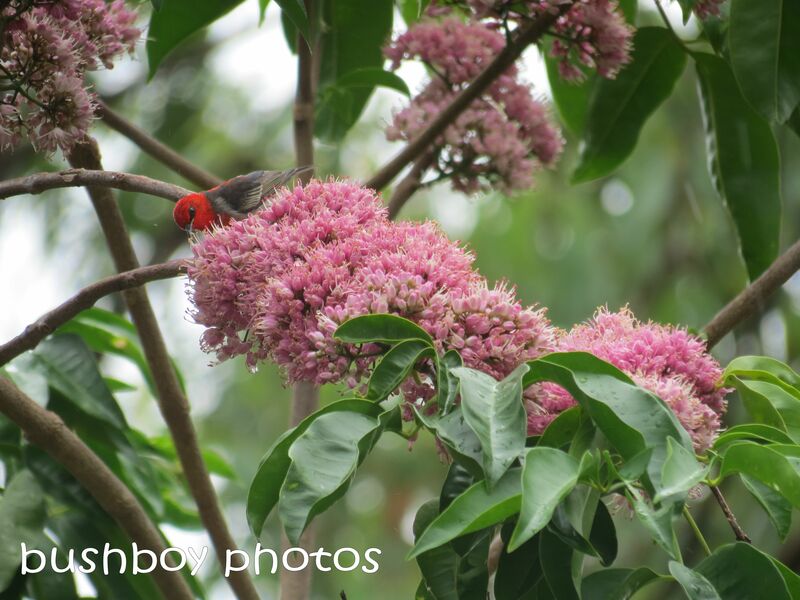 Luckily the Pink Euodia has stepped up for the birds with bunches of flowers covering it, attracting so many birds. 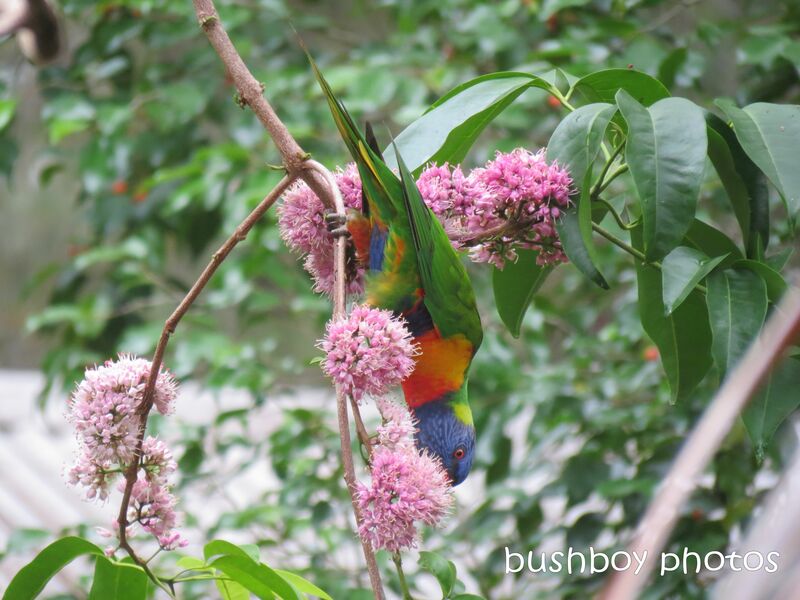 The Rainbow Lorikeets did their usual antics, hanging upside down to get a snack. 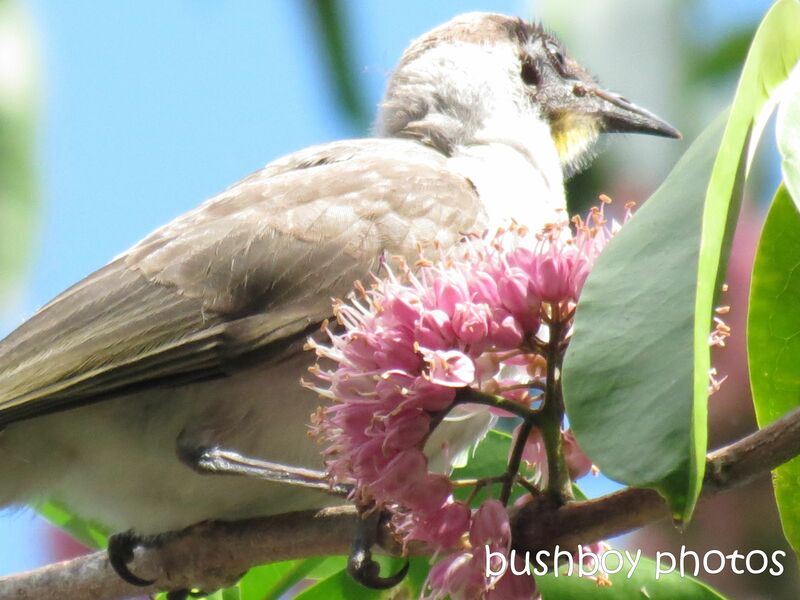 The Little Friarbirds kept an eye on the lorikeets when they popped in for lunch. 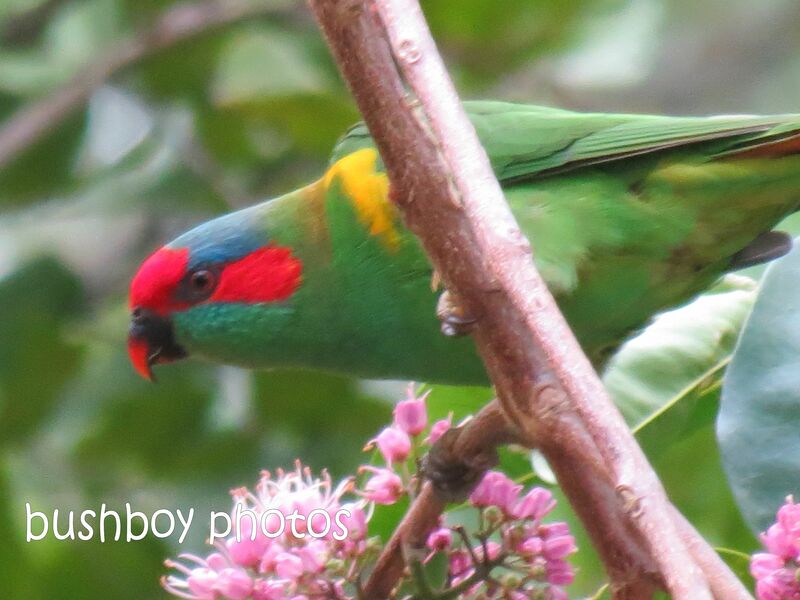 This is the first time I have seen the Scaly-breasted Lorikeets at my place. They only stayed for a couple of days. 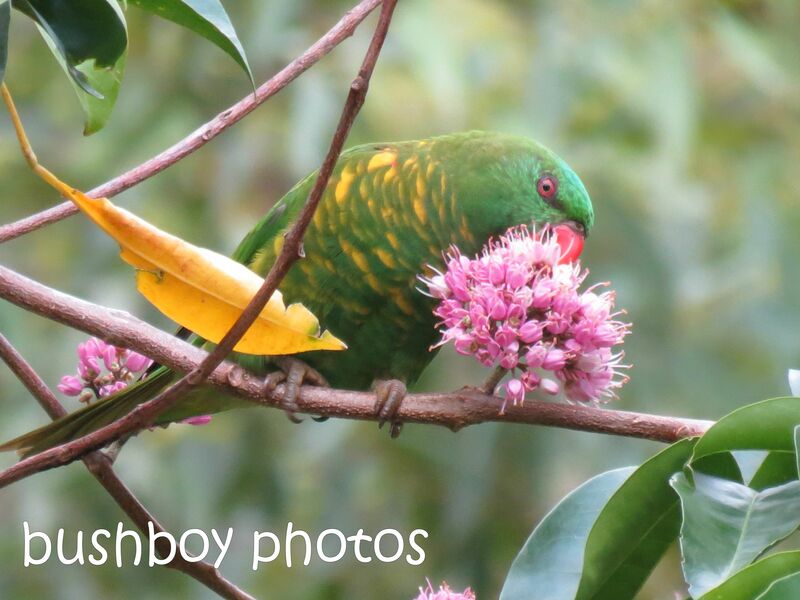 The Musk Lorikeets returned to feast on the Euodias bounty. 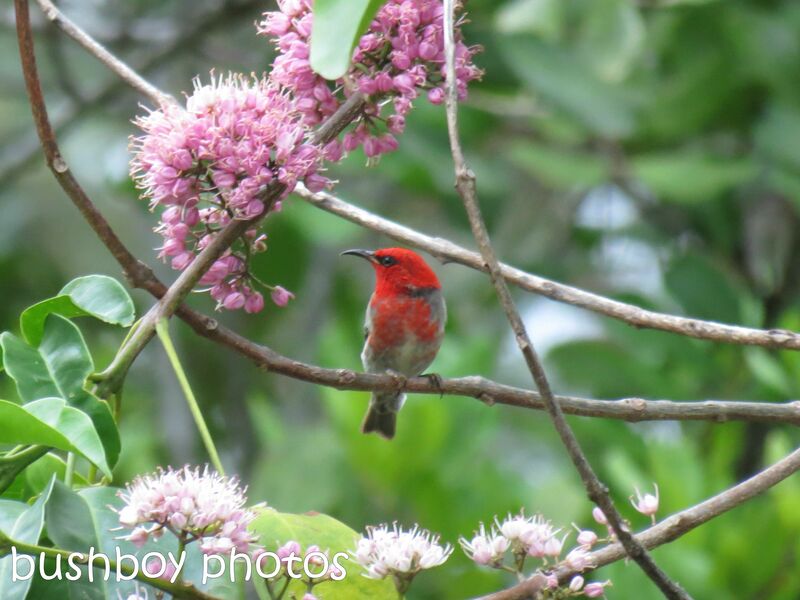 I really love the smallest of Australia’s Honeyeaters, the Scarlett Honeyeater. 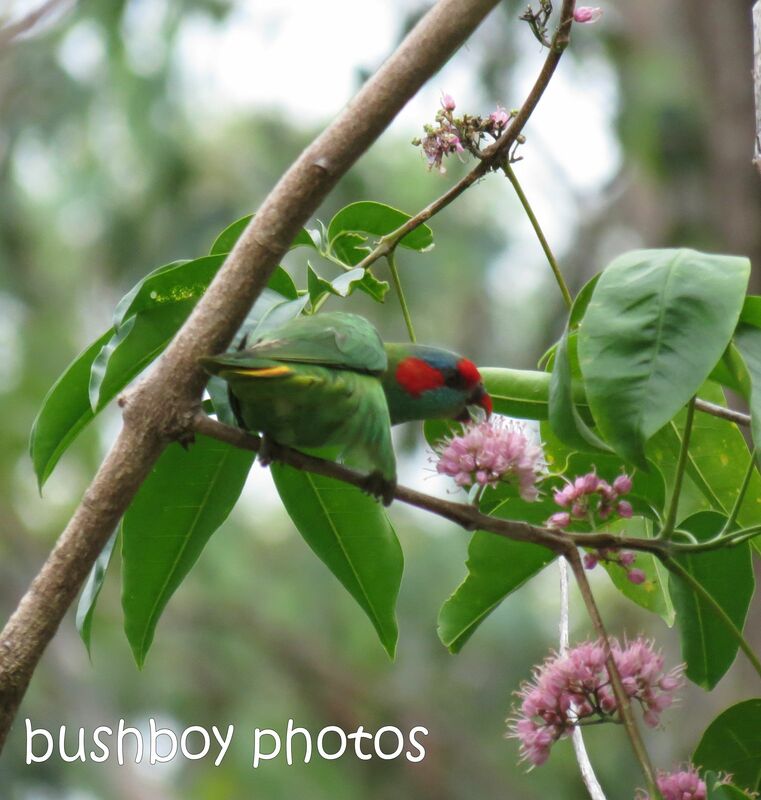 They can sit on top of the blossoms and not even bend the boughs at all. They really are like “tiny red jewels” among the foliage around the garden. 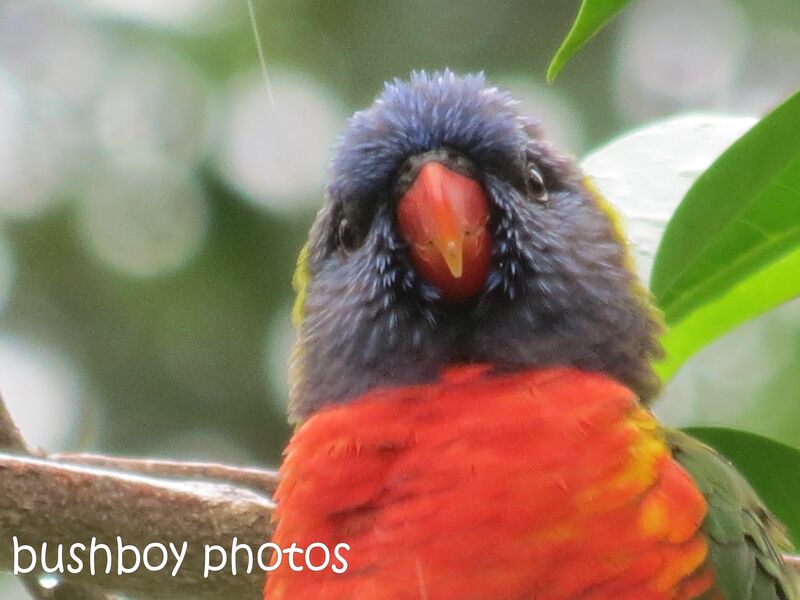 One rainy day, I heard some disgruntled squawks and found some less that appreciative Rainbow Lorikeets sitting in the rain. 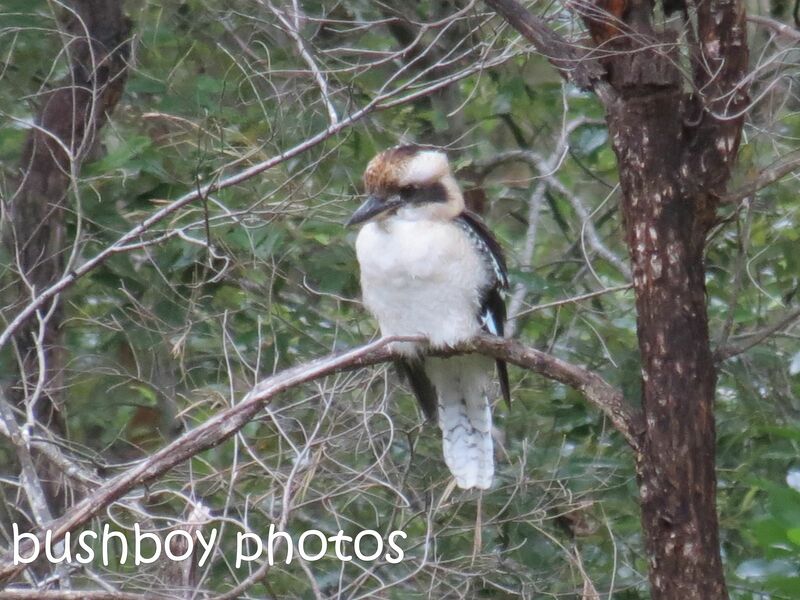 As always, the Kookaburra kept an eye out for any small creature or insect to wander across the grass. I was going to say lawn but that would be stretching the truth a long way. 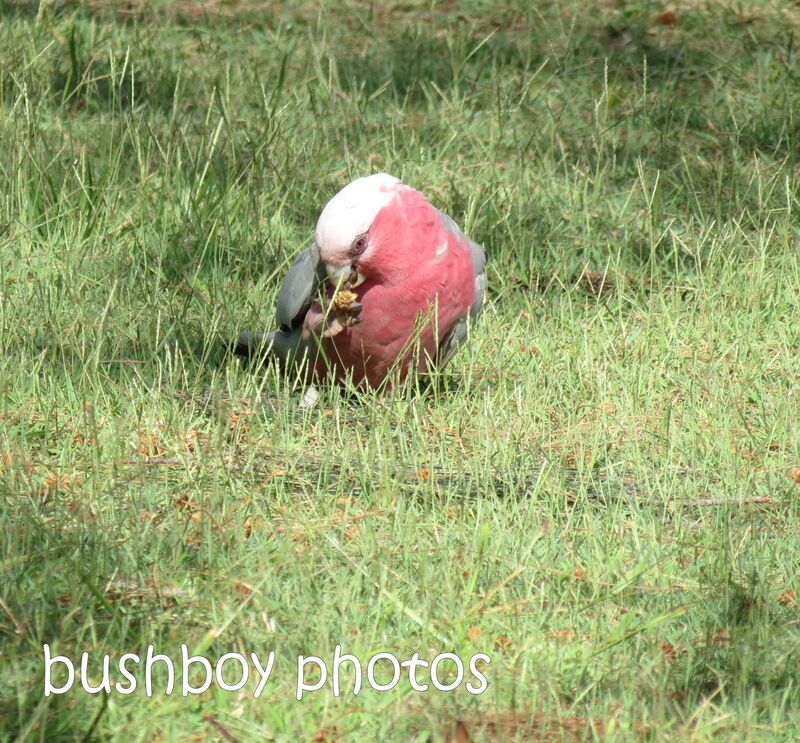 The Galahs in the reserve behind the beach at Ballina found the Casuarina nuts irresistible. 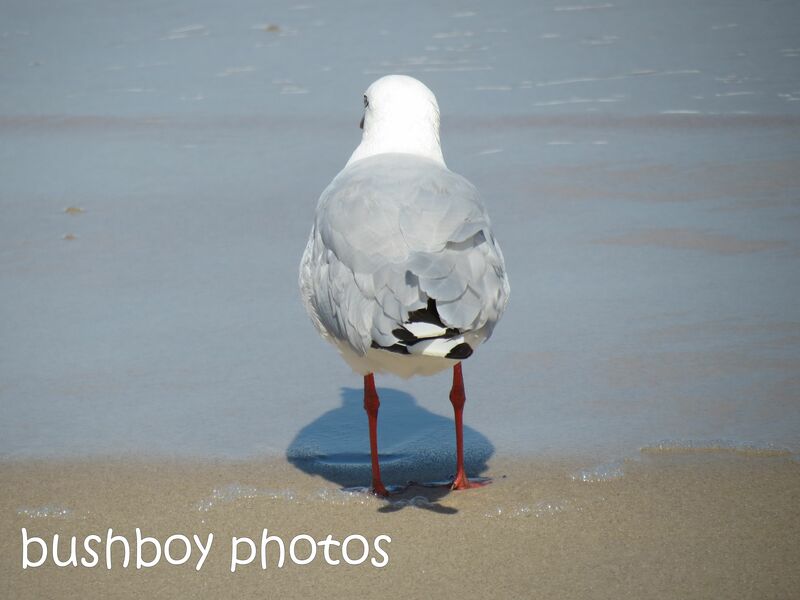 Down at the water’s edge, a Seagull looked wistfully out to sea. 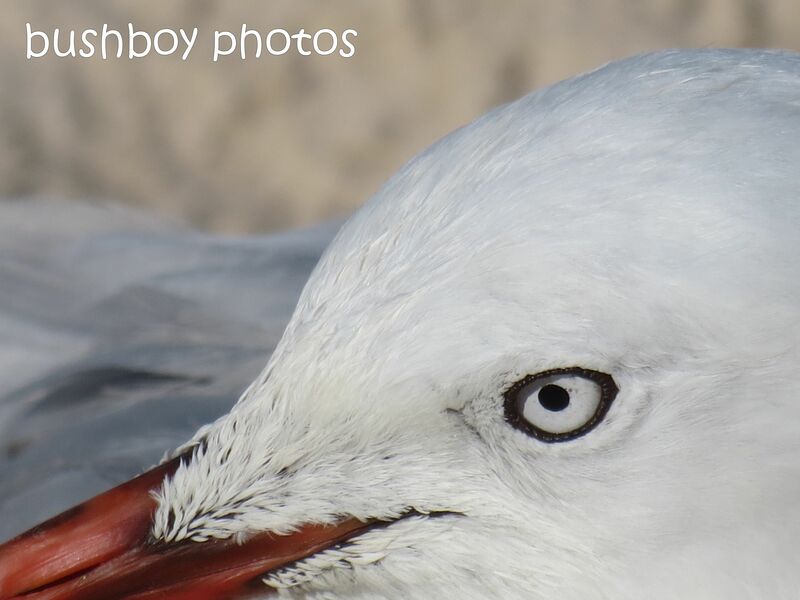 The Seagull kept an eye on us in case we had some chips. Some birds have shown their funny side. 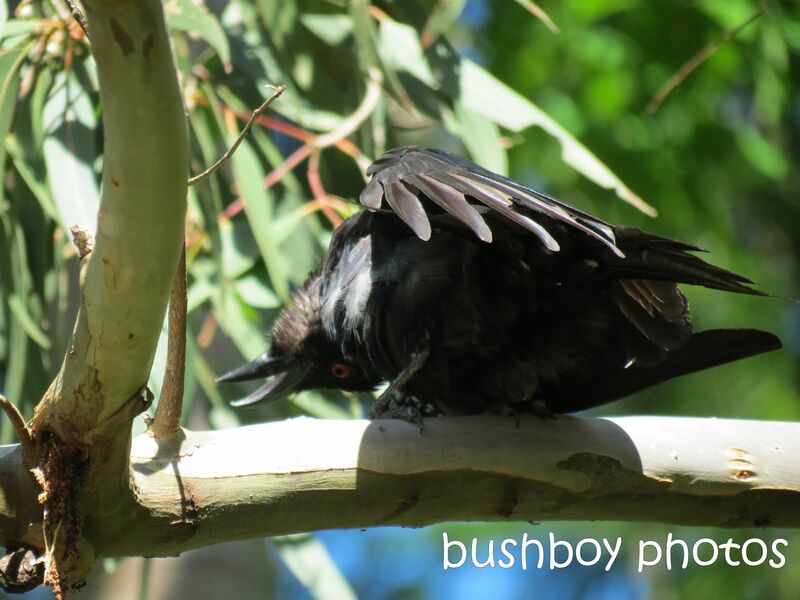 I wonder if this is why this one is called a Drongo. 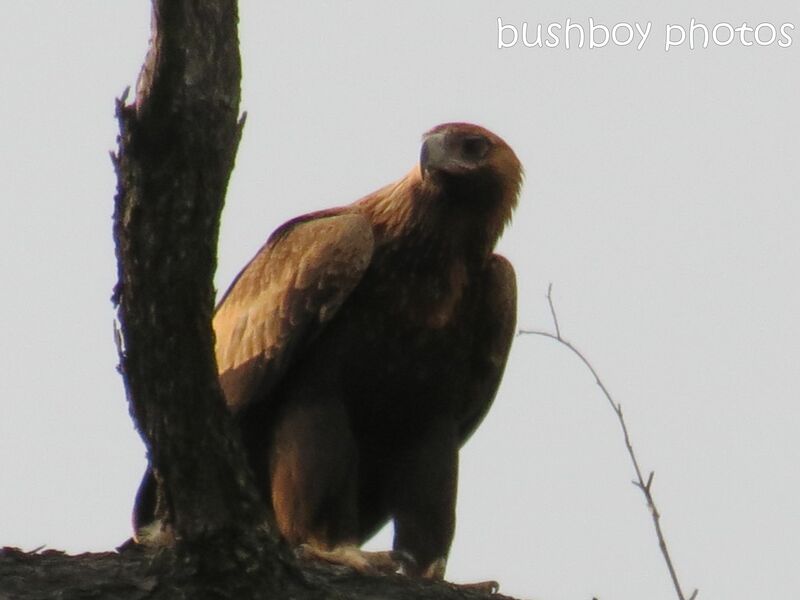 The Wedged-tailed Eagle is the biggest bird. I spotted one down by the side of the road ripping into a Wallaby road kill while it’s mate and the young one sat in a nearby tree. I didn’t notice them until one glided off the branch and into the forest leaving the young one. It sat there for a while until it too flew off. Such magnificent birds.